All open board positions in 2019 are for at-large director seats. Eligibility for this position can be found on the 2019 Elections page. Three at-large directors will be elected. The elected at-large directors will serve three-year terms, beginning at FRI 2019 in Atlanta, GA. The 2019 SHS Section election will be run exclusively online in conjunction with the IAFC election; the voting period opens on May 8. Please contact Taylor Munday at tmunday@iafc.org with any questions regarding the 2019 elections. Candidates appear here in alphabetical order by last name. 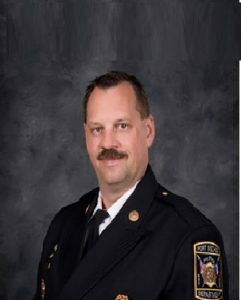 My name is Ian Emmons and I am a Deputy Chief of Operations overseeing health, safety and wellness in the Dayton, Ohio area. In this capacity, amongst other pursuits, I oversee our department’s 1582 compliant physical program, the 1583 compliant physical assessment program using peer fitness trainers, and the initiation of the NFPA 1500 Occupational Safety and Health Program Worksheet. Externally I sit on the Dayton region’s health and wellness committee as well as the Ohio Fire Chief’s health, safety and wellness committee. As a member of the Safety, Health, and Survival section I have participated in multiple projects to include the formulation of the 5-year strategic plan as well as the diesel exhaust and the autonomous vehicle safety projects and whitepapers. By contributing on each of these levels I am able to help shape the safety of the fire service on multiple platforms. Regardless of my role within my organization or the fire service I am passionate about the health and safety of our personnel while rendering routine and emergency services to the community. In order for our industry to reduce and potentially eliminate the risks posed to our personnel we must initiate and actively pursue a culture of safety and prevention. This is something I work diligently towards each day and will into the future. If elected as an at-large director, I will bring this tenacity and passion to the work done here at the IAFC SHS section. I am the Fire Chief for Dona Ana County, New Mexico. 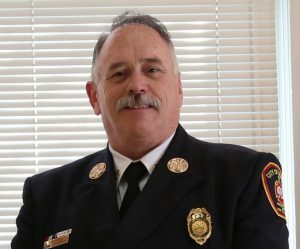 I have dedicated more than 35 years to the fire service, including the USAF, US Department of Forestry, City of Racine Wisconsin Fire Department and Dona Ana County New Mexico. My professional qualifications include a Master’s Degree Public Administration, B.S. in Fire Science, Chief Fire Officer and Chief EMS Officer designations and many National Fire Academy trainings and classes. I am also a graduate of the IAFC’s Fire Service Executive Development Institute. 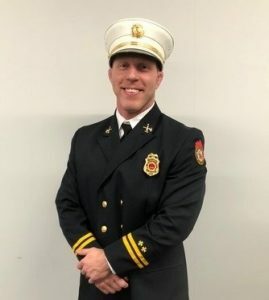 I currently serve in board leadership positions, including the International Association of Fire Chiefs Safety, Health and Survival Section as an at-large director. I am active in the New Mexico Counties Fire Chief’s organization and have presented on Behavioral Health in the fire service and Bullying and Harassment issues locally and nationally. I want to express my desire to continue serving the Fire Service in my capacity of board member for the Safety, Health and Survival section of the IAFC. The bullying and harassment issue remains a top priority, as well as firefighter behavioral health issues. I am in my 34th year in the fire service and I have served multiple capacities. 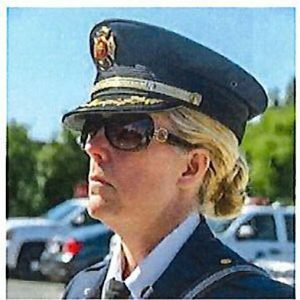 I currently serve as the Chief of a 128-member combination department, with six career companies and one volunteer company. I have been a member of the SHS Section for most of my IAFC membership having previously served on the SHS Board. I am encouraged by the influence the SHS section has on the fire service physical, and mental health platforms. As such, I value the work this section accomplishes, and the research it supports on behalf of all firefighters. I have, and continue to advocate for firefighter safety through published articles that reflect issues addressing unusual safety issues. I recognize a continued critical need for us to stay involved on not just occupational safety, but also physical, and mental health issues. I have facilitated polices for mandatory deacon, cleaning gear after each fire, and mandatory annual physicals that include cancer screening. I have advocated on the state level for a Cancer Bill for firefighters. I am excited about the potential of representing all firefighters on the board. We must continue to work diligently at promoting the preventative aspects of fire safety. As a board member, I will continue to advocate for you for a global approach to health, safety, and mental health issues. I would like to continue with the efforts of the SHS section, and therefore I am asking for your vote so I can continue our campaign for firefighter health and safety. These experiences have provided me the opportunity to participate in other activities, such as the Tampa II Conference, where I helped with the Company Officers breakout. I have taught numerous Courage to Be Safe Courses, LACK and FDSOA ISO and HSO courses. I am also an adjunct instructor for the University of Wisconsin-Oshkosh and teach safety courses in their degree program. In my current role as Fire Chief, I advocate safety and health on a daily basis, both locally and regionally, through my position as Fire Service Director on the Sabine-Neches Chiefs Association. 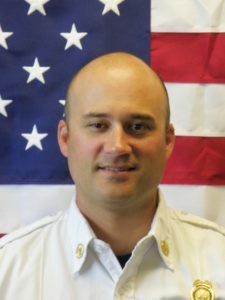 My name is Nick Perkins and I am seeking a position with the IAFC Safety, Health, and Survival Section’s Board of Directors. I am a twenty one year veteran of the fire service. I currently serve as the Assistant Fire Chief with the Travis County Emergency Services District No. 2, a suburb outside of Austin, Texas. I am a passionate advocate for outcome based improvement in firefighter health and safety programs. During my career I have worked hard at developing comprehensive NFPA physicals, and health related fitness programs for firefighters. In recent years I have focused largely on improving access to behavioral health resources, as well increasing awareness, and monitoring of behavioral health for firefighters in my region. I believe the team of Fire Chiefs, and medical professionals that I work with have set a good standard for applying health and safety programs for small to mid sized fire departments. It is my goal to support the sections five strategic initiatives I am eager to take on the action items identified in the plan and the challenges of the SHS section. 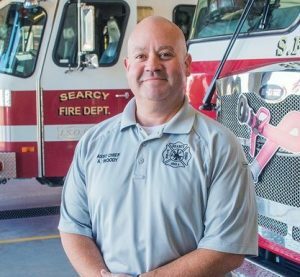 Previous work from the SHS section has provided tremendous resources for the fire service in the areas of safety, physicals, and occupational cancer awareness. I believe this work must be continued, and the emerging topic of behavioral health remains an area to be worked on. Serving on the SHS board would be an honor and I ask for your support. It is with a tremendous amount of respect and excitement that I submit my request to continue my efforts in the Director-At-Large position in the Safety, Health and Survival Section. I am confident that I possess the appropriate skills, experience, expertise and passion to continue my efforts in this role. It has been an honor and privilege over the past three years to represent you on our Board. During my time on our Board, I have been active and played an instrumental role in the development of the Strategic Plan and History document for the section. I have represented our Section at several events to include the committee for the future development of the National Fallen Fire Fighters (NFFF) Initiative #11, the budget finance committee and elections committee just to name a few since my appointment. In addition to these areas I have been active in assisting our Board leadership as they have seen the need. My name is Andy Woody, Fire Chief in Searcy, Arkansas. I am respectively asking for your support during the current IAFC election. I am seeking election as a Director-At-Large in the Safety, Health, and Survival Section (SHS) of the IAFC. I have long been committed to the safety of the fire service. I believe in the goals of the IAFC and I believe in the mission of the SHS. We MUST prevent preventable accidents. I am committed to safety initiatives established by the SHS as well as researching and implementing new ways of enhancing safety through the use of technology, science, and professional credentialing. The data we have at our disposal is more readily available, thorough, and relevant than ever before. It is critical that we review this information and create meaningful change within our industry. We must work with current and future fire department leaders and encourage them to truly evaluate everything they do. We should gauge the message that is being sent administratively; from writing and enforcing policies to prioritizing and establishing a budget to meet mission critical safety items. We should consider operational changes that could be impactful such as aggressive gross decontamination, enhanced emphasis on traffic control, or additional driver’s training. I am committed to help shape the future of the SHS by working with leadership and listening to members on how the section can best address future challenges. Thank you for your time.